Dad thought he was coming to my house on Friday to have lunch with me, Jennifer and Drew. That part was true, but what I didn’t tell him was that the rest of the family were also invited. Dad with his four girls! 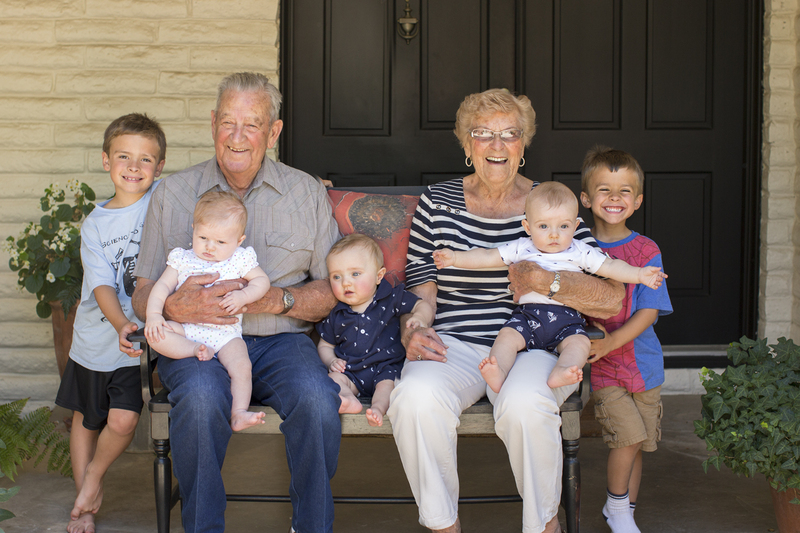 Mom and Dad with 5 of their 8 (soon to be 9) great-grandchildren. 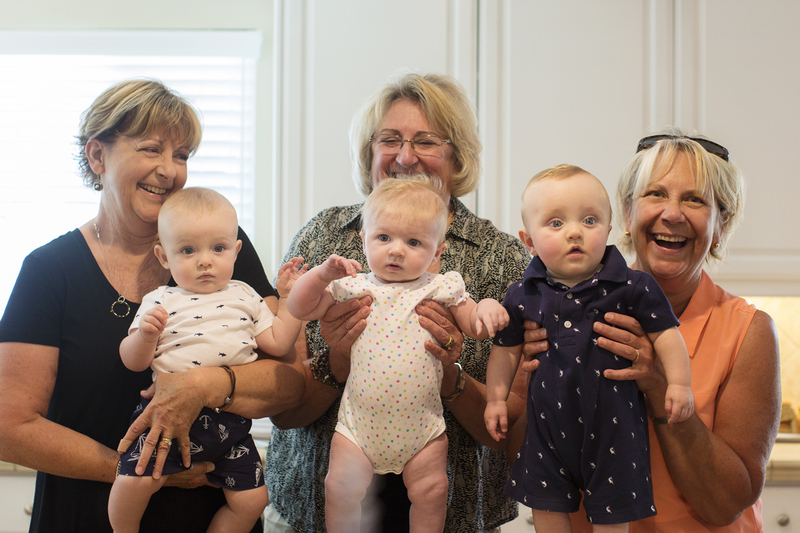 Cousins… If they are anything like their grandmas I smell trouble on the horizon!! 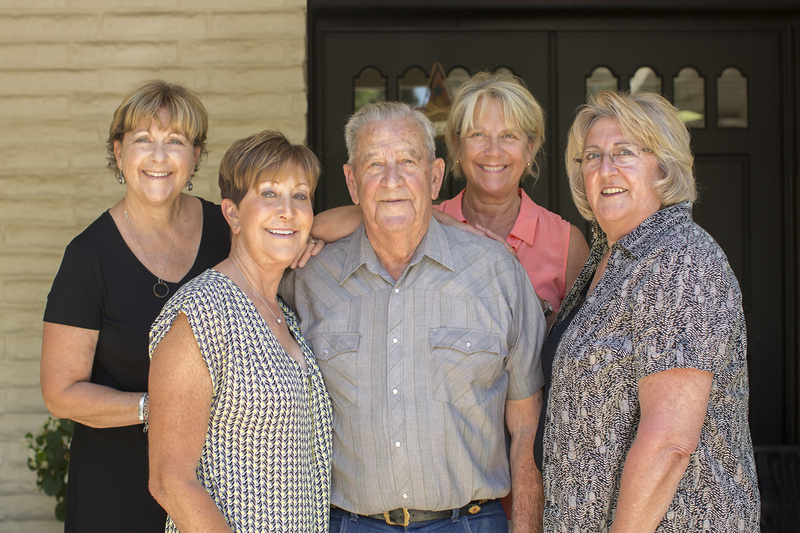 What a great family of incredible people! Great pictures! Look forward to a picture with all the kids in July!! It was a great surprise. I’m sure grandpa loved spending time with everyone for Father’s Day. We really enjoyed it and Drew even sat up a bit on his own when we got home after watching Brendan doing it.